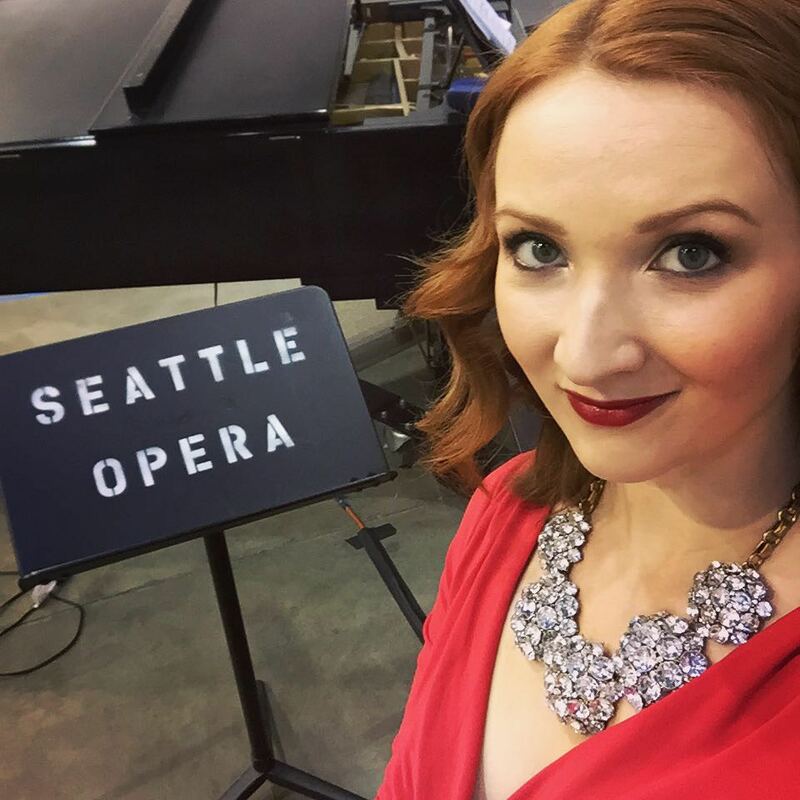 Ksenia Popova, soprano, is a former Seattle Opera employee who co-founded our local Opera on Tap chapter and is now an Associate Artist at Opera San José. Aren Der Hacopian, Seattle Opera's Director of Artistic Administration, selects the singers who appear at McCaw Hall. How do you nail an opera audition? Today, we hear from two people who know a thing or two about how to do this. For them, auditions are simply a part of life — but they approach them from opposite directions. 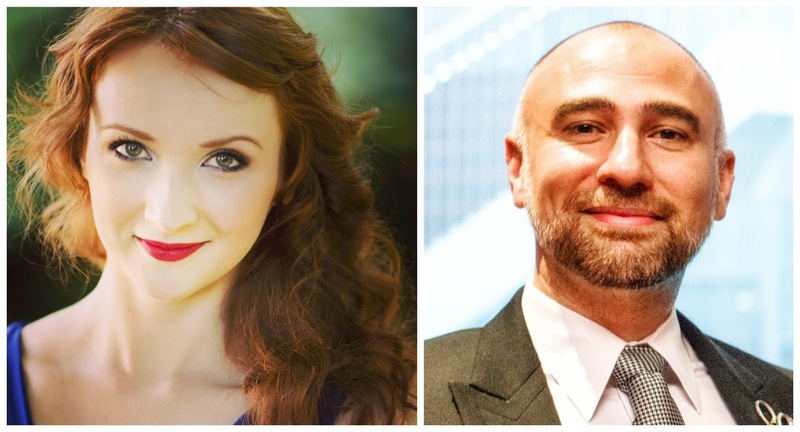 As a singer, Ksenia Popova is used to being in the "hot seat" or, more accurately, the "hot stand" as she performs with an accompanist on piano before an audience of adjudicators. (Though, as founder of Seattle's Opera on Tap, she's also been on the other side of the table). That's the side where Aren Der Hacopian, Seattle Opera's Director of Artistic Administration, usually sits. Aren listens to countless auditions in order to select the singers who star in our productions at McCaw Hall. As both soprano and arts administrator will tell you, there's far more to auditioning than simply entering into a room to be judged. 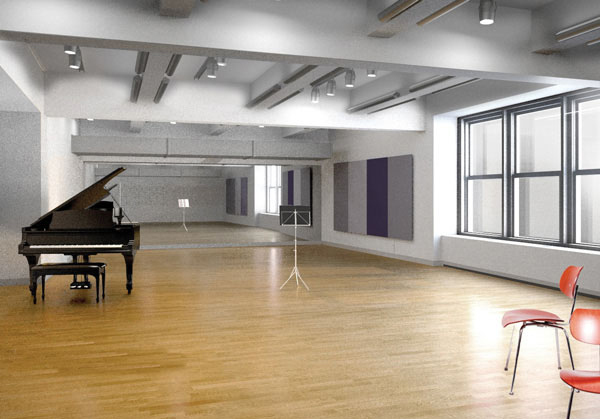 In fact, both singer and adjudicator may have more similar goals in that room than you'd think. What’s the first thing you look for in a singer? Aren: I can't stress enough the importance of originality. Is this singer able to take us to our most basic, sensitive, emotional state — yet at the same time, deliver the highest form of artistic and vocal technique? It's not about perfection; it's about how they deliver their unique package of good and bad, strength and weakness, and how it all comes together. Does the singer know and love what they're doing? Do they have the confidence to make the character their own? What are the first things you think about in order to pull off a successful audition? Ksenia: Beyond preparing arias that I know completely forwards and backwards, the rest tends to be mental. It’s so easy to put too much pressure on yourself. Singers very rarely get to perform on the days where everything is 100 percent, so walking into an audition and giving the best representation of yourself is key. A good friend of mine taught me to think of it like dropping a business card: You go in, sing, now they know you. You might hear from them in a day, in a month, a few years down the road, or never — and you just let it go. How long does it usually take you to decide on a singer? Aren: Ninety-nine percent of the time, it takes 10-15 seconds for me to figure out if a singer interests me. I have learned to quickly grab on to what a singer can do with the limited time they're allowed to audition and/or perform. Ksenia: You start thinking about it a week out. I’m notorious for not staying hydrated enough, so I start upping my water intake (I do the same for performancse). You avoid situations that might compromise your health: no loud bars, no staying out too late. A few days before I make sure whatever I plan on wearing is good to go — washed/steamed, and though I like to think I do this early, usually the night before I make sure my binder is arranged. Your audition binder contains all pieces that you’re ready to offer that day — and nothing more! I’ve been known to sometimes make an emergency copy store run to photocopy a new head shot or clean copy of an aria, but I try to avoid that. Also, eating! Make sure you're not singing on an empty stomach. Do singers get nervous when auditioning? Aren: If singers don’t get nervous auditioning, it would be strange. It's not really what they are trained to do. And of course I'd prefer to see every potential new hire in performance at another opera company, but that simply isn't possible. Having said that, there are some singers who are much more comfortable auditioning than others. I've seen nervous singers who have great auditions, as well as bad auditions. As a former singer myself, I know that their job is indeed difficult — they may have working on their artistry for 10-15 years, but they only have 10-15 seconds to get my attention! Only 10-15 seconds to fight the stigma of their voice type, or a color they've been told is not pretty or not good enough. They have to get over all these thoughts in a strange room with bad acoustics and strangers sitting in front of them (who might be very hungry and tired after being in auditions all day). Do you get nervous when you audition? Ksenia: More nervous than performances, but it's usually not too bad. Getting nerves before an audition usually depends on two things for me: 1.) how close my relationship is to who I’m singing for and 2.) how well I’ve mentally prepared myself. Surprisingly, I find it more nerve-wracking to sing for people I know well, as opposed to strangers. How does an opera audition work? Ksenia Popova says an audition can be like a guessing game of "what do they want to hear?" How do you get an audition for Seattle Opera and what is it like? Aren: Auditions are by invitation only, and often, we work with a singer's agent. We're friendly folks. It's pretty standard. The singer comes in and we all say hello. Usually, there's not much time for socializing, especially when you're auditioning over 30 singers that day. If they're auditioning for a specific role, they may sing that entire role. Usually, we like to hear something we're considering them for, as well as something we're not. That way, we can take note of their potential and level. Opera companies plan their season several years in advance. Thus, if you are auditioning someone for a role they will perform in 2-3 years, what are the risks involved? Aren: So many things. Their emotional balance could change, as could their availability, vocal balance, and health (including allergies, food poisoning, other illnesses). Then of course, once they get here, they might not have good vocal chemistry with the rest of the cast or understand the concept of the stage director or conductor, which can lead to challenges. However, hopefully we have done a good job in casting, and most of the time, the final ensemble of singers and creative team mesh well, and a great production is created with wonderful performances. Condition of an artist's voice and performances are directly related to the condition of that singer's emotions and mind. Name a time where you learned something that affects how you audition today. Ksenia: The biggest thing that I’ve learned with auditions is to walk in, give the best representation of you (throw down or “flip a table” as some of my colleagues and I say), then smile, say thank you, and forget about it. There have been times where I walked away thinking, “What even came out of my mouth right now?” and felt down about it, then realized that the auditions where I have felt unsure have been the auditions where I’ve gotten a job. The ones where I walked out feeling amazing, I don’t think I’ve ever heard back from. It’s best to get out of your head, do your job, and then move on. How big a role does a person's physical appearance play in casting at Seattle Opera? There's been concern recently that our art form is beginning to cast more according to Broadway or Hollywood standards. Aren: There is some truth to this, simply because today, we have so many accomplished singers to choose from. Additionally, while we are indeed first a musical art form, theater is also part of who we are. If we have two different outstanding artists, we may select the one who is easiest to imagine as the character. Of course, your ability to embody a character has nothing to do with body shape or size, and really, interpretive ability is crucial. At the end of the day, you have to find a balance between many factors. Once again, it comes back to artists having that well balanced full package. 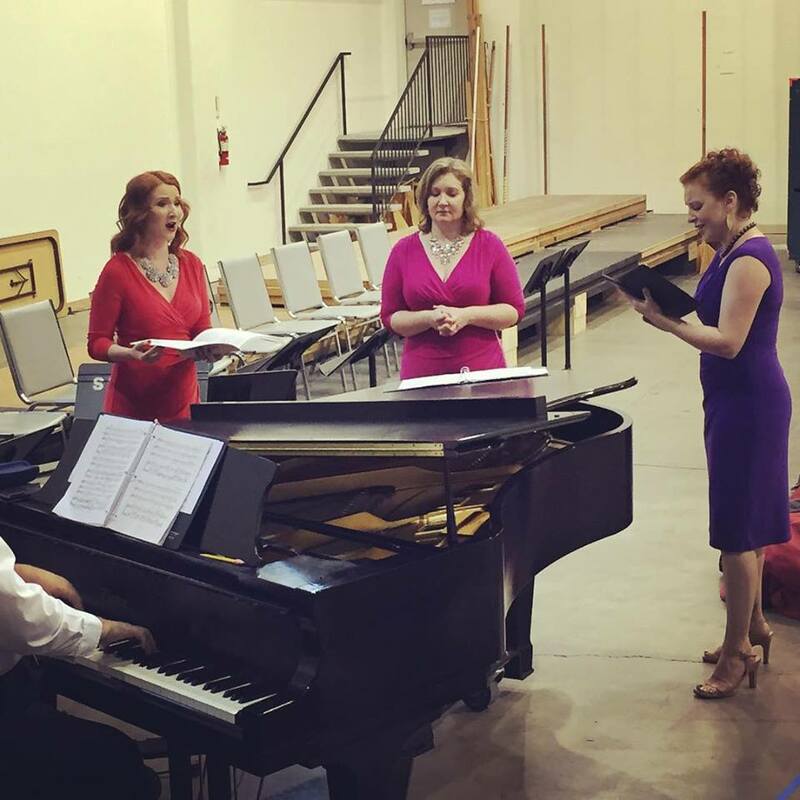 Ksenia Popova with fellow Opera on Tap Managing Divas: Kim Giordano and Melissa Plagemann. Do you have any audition tips? Ksenia: Always sing/perform pieces that you are 150 percent comfortable with! There should never be a worry of “Will I have enough breath to get through this phrase?” or “Will I hit the high or low note?” Sometimes singers feel like they have to show off all the tricks or push themselves past what they really should be singing at this moment, and none of that is necessary. Also, be respectful to everyone along the way, from the first contact you have to the audition, to when you leave. The people in the building are the people you’re hoping to be working with someday, so be kind and professional. Finally, reward yourself afterwards, even if it’s a tiny treat (I personally like a martini, but whatever makes you smile). Auditions are hard, so be kind to yourself. Aren: Don’t sing something you don’t know well. Don’t be crazy! Sometimes singers come in and they have this crazy, nervous energy. Just calm down and find comfort upon entry point, whether it's an item in the room or a person, find something that will help you relax. Also, don't wear something that will upstage you. If you're going to wear a ballgown with diamonds, that's fine, but you're going to have to be more fabulous than that ballgown! 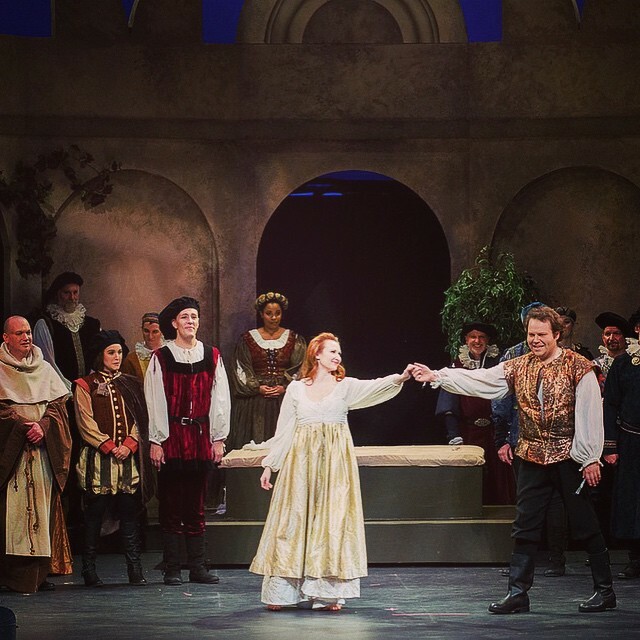 Ksenia Popova takes a bow with Christopher Bengochea in Tacoma Opera's Roméo et Juliette. Ksenia: Do keep your binder, materials (head shot/resume/rep list), and yourself neat and tidy! No crazy fonts, spell check everything, and have a friend proofread for an extra set of eyes. Be kind to other singers in the Green Room, and generally keeping to yourself is always acceptable. There are audition spots in NYC like Nola that are notorious for the “smell of 50 years of depression and self-loathing” (I kid you not!). Everyone is stressed and packed into a small space. Don’t be the person chatting up everyone else or flashing around your resume. Just focus on yourself. How do you decide what to sing – are you always auditioning for a specific role? Ksenia: If auditioning for a specific role, I often try to offer the main aria of that character. That said, sing what you sing best. There’s this idea in school that one must sing five arias in a variety of languages and styles, and once you’re out in the world, none of that matters. Some are Mozart singers and will have a list full of Mozart, others are made for Puccini. Find what makes you special and sell that. What’s the strangest audition you’ve ever been a part of? Ksenia: I once had an audition where instead of the casting director sitting mid-way in the room, he walked around me in a circle as I sang; definitely odd! I also once had a callback for Jerry Springer: The Opera, not a weird situation but most certainly very different callback music. Aren: We were in New York and there was something going on with a pipe in the wall. We heard this loud sound that kept pounding to the rhythm of the aria that the singer was singing! I thought, "Well, that’s appropriate." Usually though, nothing funky really occurs. The worst is when you see a singer realizing that they are not having a good audition, and yet, they still have to go on. This happens to the best of them; even to people who've sung that aria 100 times. And of course, no one feels comfortable when the singer isn't feeling comfortable or performing well. I think singers forget that we want them to succeed. Singers can dwell on the fact that we are judging them, which we are —but we're also in fact, cheering them on. 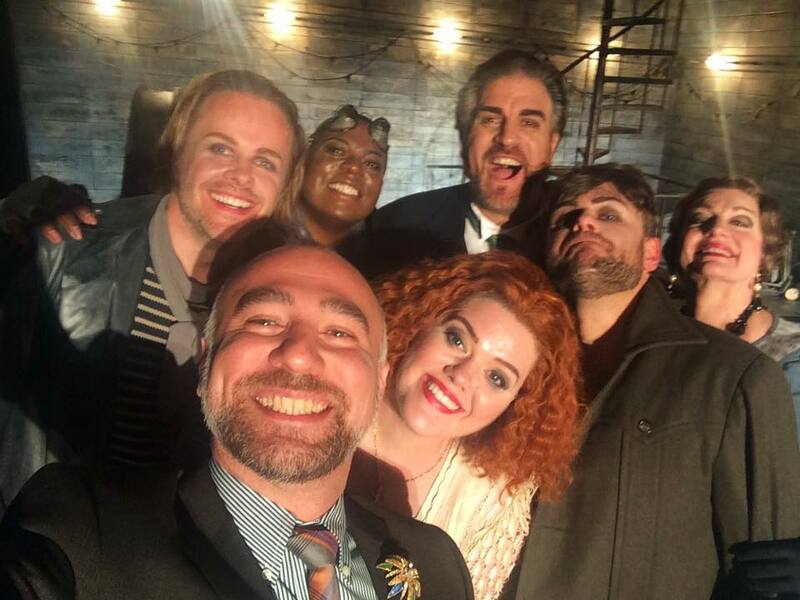 Aren Der Hacopian with singers from Seattle Opera's 2016 Flying Dutchman.